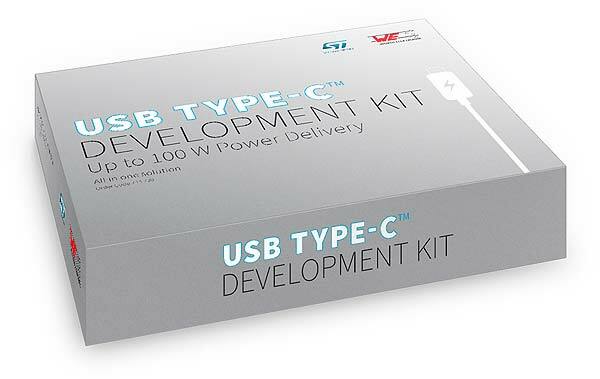 A robust solution with embedded protection against short-circuit, overvoltage, overcurrent and electromagnetic interference ensured by using USB Type C connectors, inductive components and capacitors from Würth Elektronik eiSos and certified USB Power Delivery controllers from ST with built-in protection. A complete and ready-to-use solution with evaluation boards and a demonstration board for sink and source applications from 0,5W up to 100W. These boards can be used without any extra software or firmware for faster development time.